I have a horrible habit of writing posts and never finishing them. 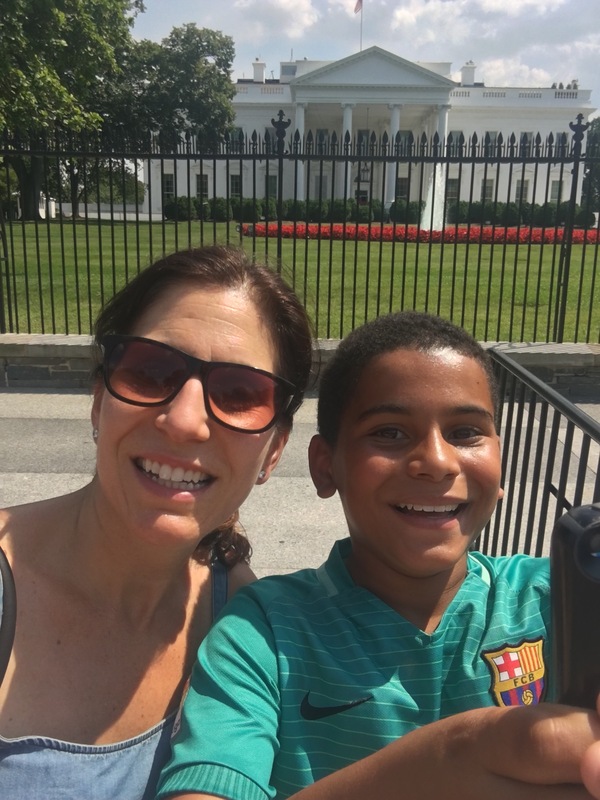 Carlos and I went on an awesome road trip to Washington D.C. last year right after he got out of school for the year. Here are a few of the highlights of our trip. 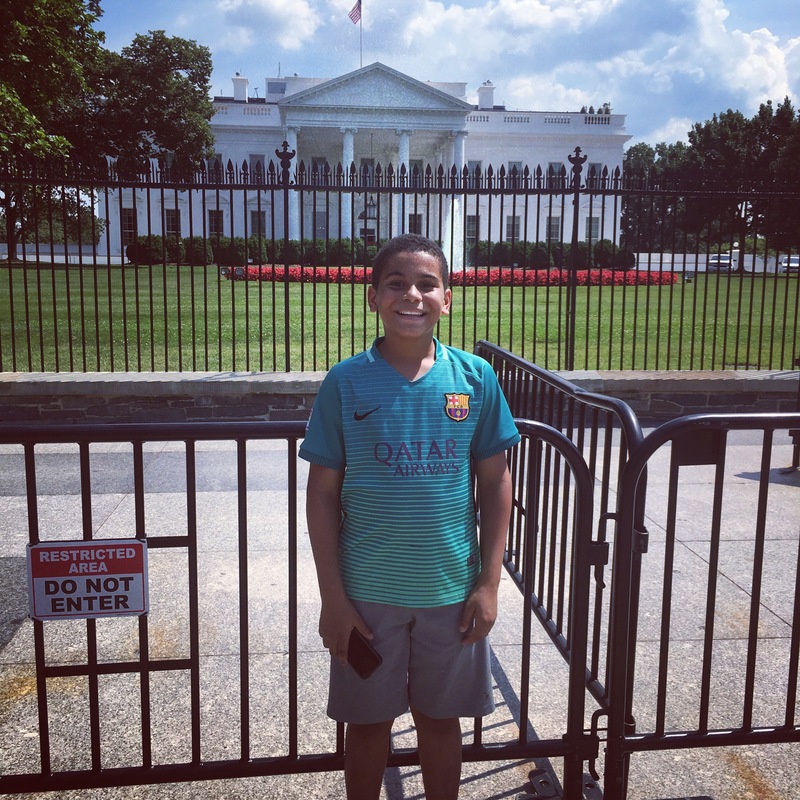 The FC Barcelona jersey Carlos is wearing caught the attention of a secret service agent. The two of them chatted for nearly a half hour about all things soccer. 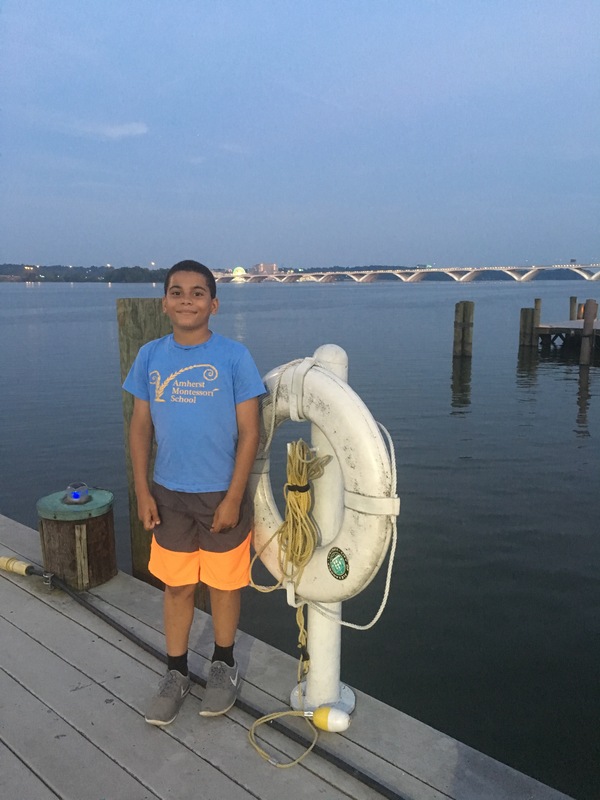 We stayed in Old Town, Alexandria, VA. I could have explored the area for days. There was so much to do and see. 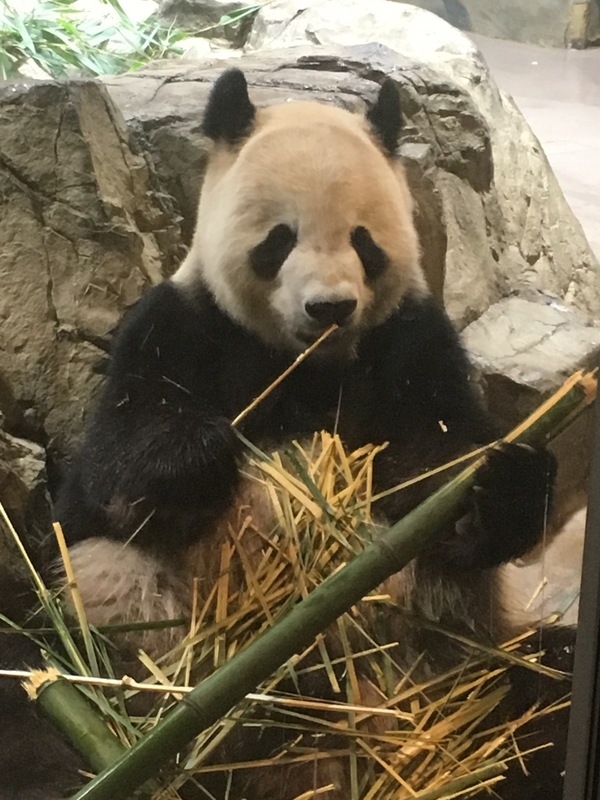 Carlos and I are not all that keen on visiting zoos, but we were interested in seeing the pandas at the Smithsonian’s National Zoo. Entrance to the zoo is free so we wandered in and found the pandas. I hate seeing them in captivity, but they are really interesting animals, and quite adorable. 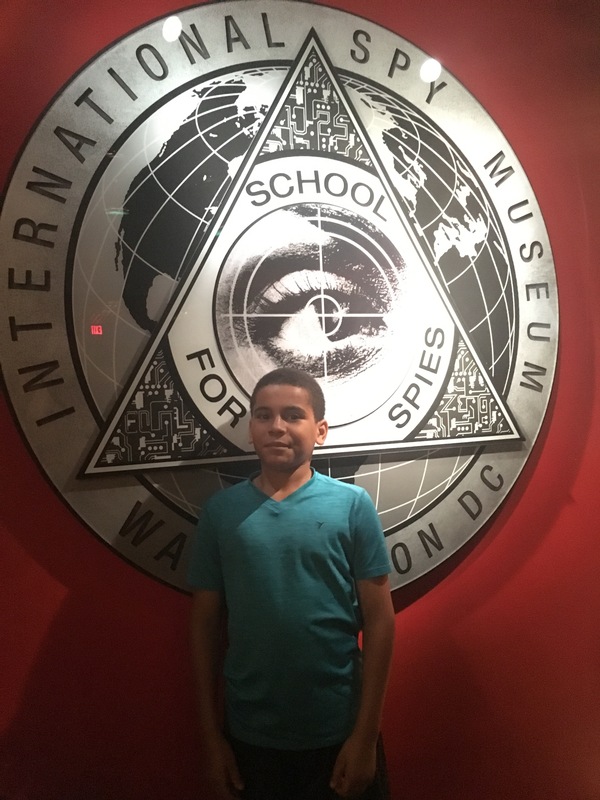 Perhaps one of our favorite things on the trip was the International Spy Museum. 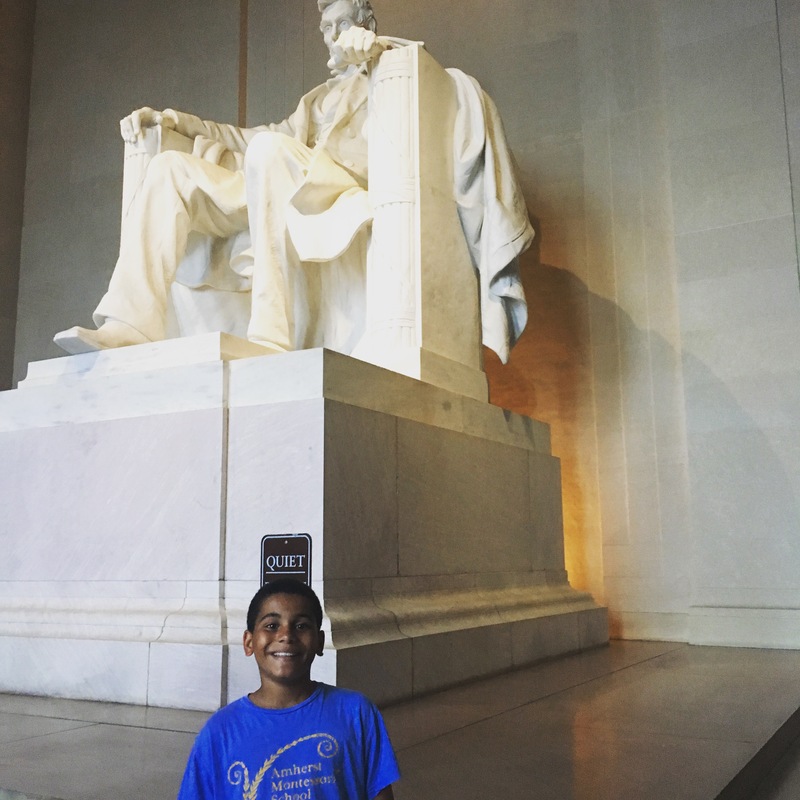 We strolled around the mall in the early evening to see the monuments lit up. I haven’t been to DC in so many years. It was as awe inspiring as I remember it. We saw so much in the course of a few days. We walked everywhere or took the metro. It was very hot, but the air conditioned museums provided much needed respite from the heat. Carlos insisted on seeing the Holocaust Museum. He has studied World War II at length throughout the last couple of years. I had been to the museum before, but seeing it through a child’s eyes is very interesting. 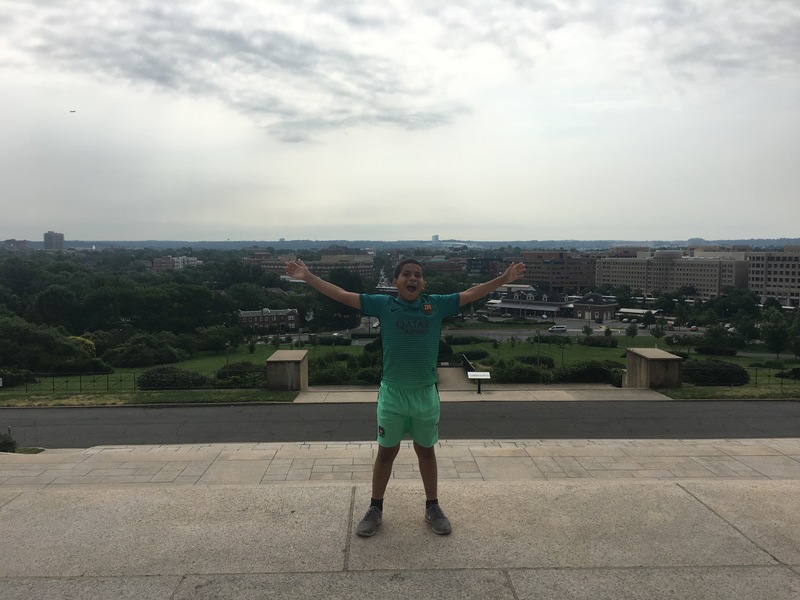 On our last day we went to the George Washington Masonic National Memorial in Alexandria, Virginia because Carlos was very interested in the history of the freemasons. All I could think of was The Lost Symbol by Dan Brown. I love that Carlos has interests in such a range of topics. I learned so much on the trip. What better way to end a wonderful trip than with a delicious cupcake from Georgetown Cupcake. Today is Earth Day, 4/22/2018. I enjoyed a lovely early morning trail/road run with my running partner M. She is getting a little more adventurous on trail. We ran about 6.4 miles today and 4 yesterday. It’s been a real treat seeing the sun for two days in a row. Marathon training begins on 4/30 as does my next grad class, Health Information Systems. 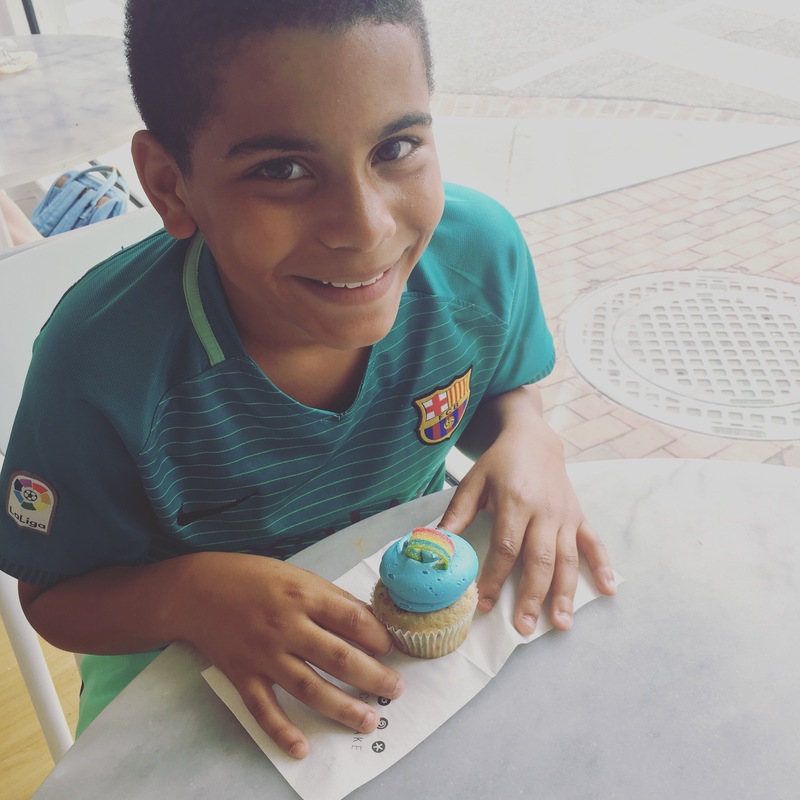 Carlos is playing spring soccer and baseball while continuing with weekly karate. I know that organization will be the key to maintaining my sanity. I began getting a few things in order this weekend. Off to a good start! Fun to see, even belated. I lived in DC for college and I don’t think I ever went to that Masonic monument, I’ll have to check it out next time I’m there. It was really interesting. I am actually quite fascinated by the Freemasons too. There is a little masonic temple down the street from our house and my son and I make up all kinds of wild stories about what happens there.